Andy Slavitt, acting administrator of the Centers for Medicare & Medicaid Services, made some bold remarks at the annual J.P. Morgan Healthcare Conference, most notably stating that “The meaningful use program as it has existed will now be effectively over and replaced with something better.” He went on to describe that “something better” would take the form of MACRA (Medicare Access and CHIP Reauthorization Act), a combination of merit based incentive programs and alternative payment models, which will be rolled out in coming years. This statement was met with approval from many healthcare providers, who have been vocal in their criticism of Meaningful Use (MU). However, others were merely left confused by what seemed to be the sudden death of a program into which many had invested so much time and money. What initially sounded like the sudden death of Meaningful Use, now sounds a gradual transition to MACRA. And healthcare providers breathing a sigh of relief at avoiding MU stage 3 may want to hold off on that relaxation; according to this timeline, published by the American Academy of Family Physicians in December 2015, MU stage 3 will continue until 2018. If Meaningful Use is not over until at least 2018, meeting Stage 3 is a reality we need to face. As CMS reveals their plans for MACRA, we hope to learn more about what that means for healthcare providers and the technology required. Whatever the regulatory future looks like, we will continue to develop tools that meet the new standards. 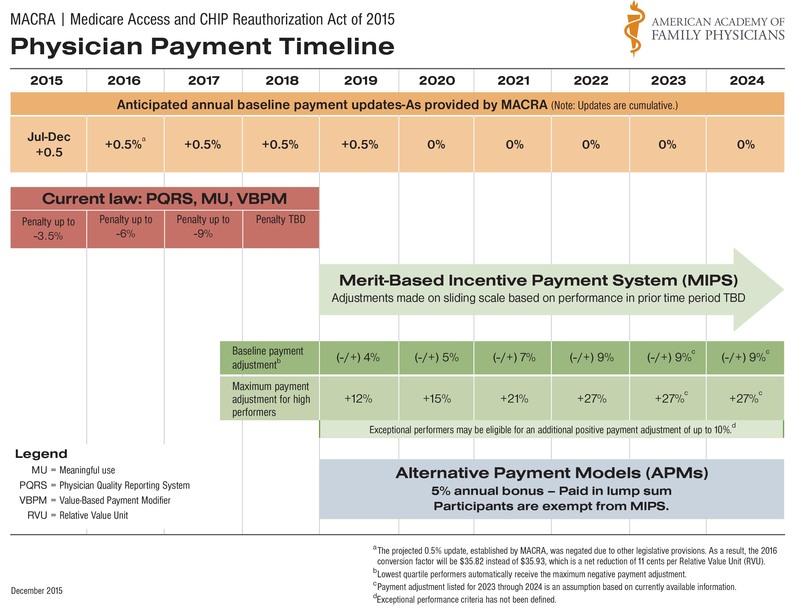 We have supported Meaningful Use from the beginning, we’ll support MU stage 3 until it’s truly over, and be ready for MACRA when it comes into action. Delivering healthcare in the face of complicated, and forever changing regulations is surely difficult (take heart, it’s difficult for vendors too!) but our aim is always to deliver tools that take a complicated process and make it easier to manage operationally. We certainly don’t have all the answers in the MU and MACRA space but we spend a lot of time delving into how these regulations affect healthcare providers so please contact us with your questions. To learn more about MU and how the modified rule changes affect ARIA users, please join a Webinar hosted by Malcolm Wright, VP of Product Management on February 4th at noon PST.